Happy graduates and that guy’s head. 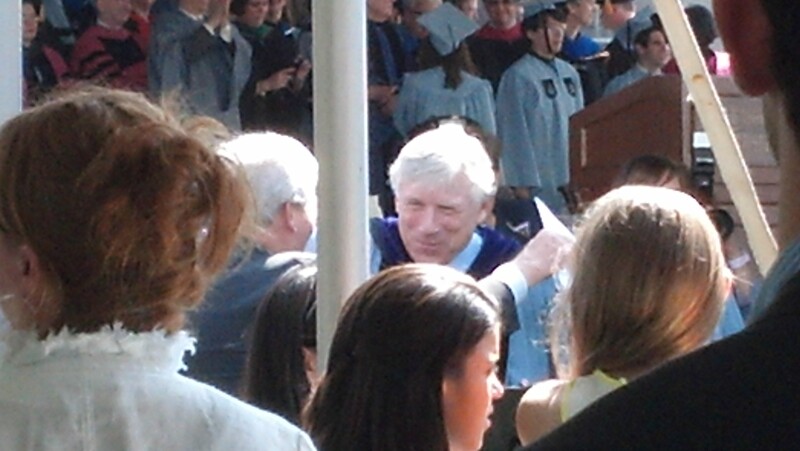 Fortunately, PrezBo’s hair weathered the extreme heat of today’s College graduation ceremonies. 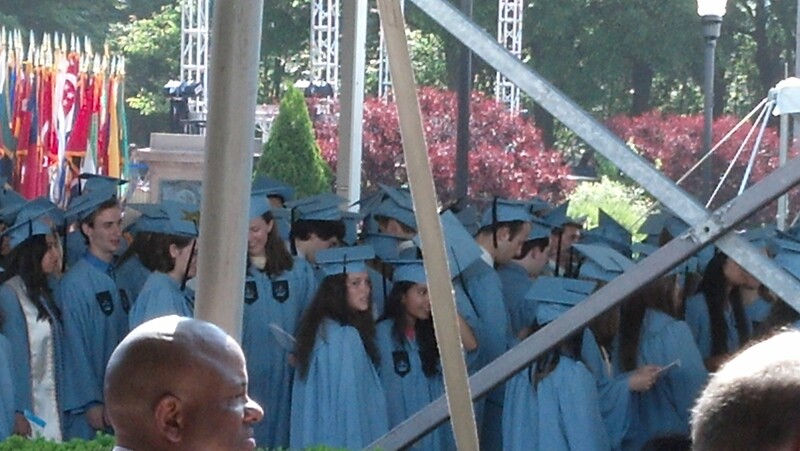 A little after 9:30 am today, the class of 2013 marched with their gowns sticking to their sweaty under thighs. The Salutatorian, Yoshiaki Ko, made the first speech of the morning, discussing the “nexus” that Low Steps become when it’s nice out and the intellectual and social connectedness of the student body and the university at large. 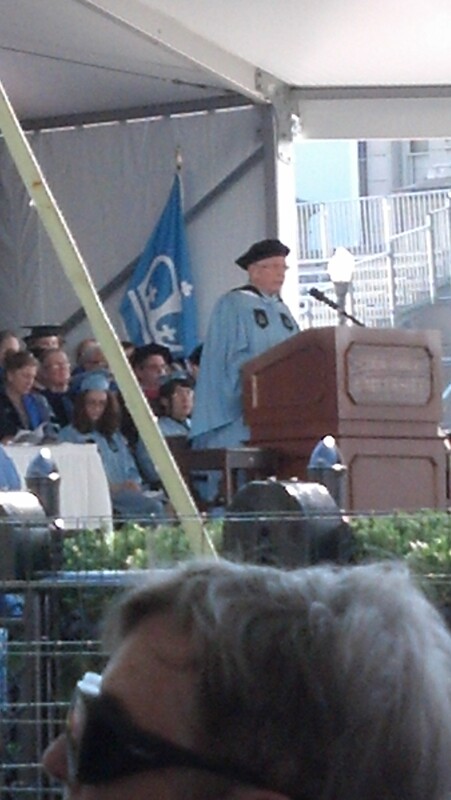 Terrence McNally, class of ’60, proceeded to give the Keynote address (highlights are after the jump). 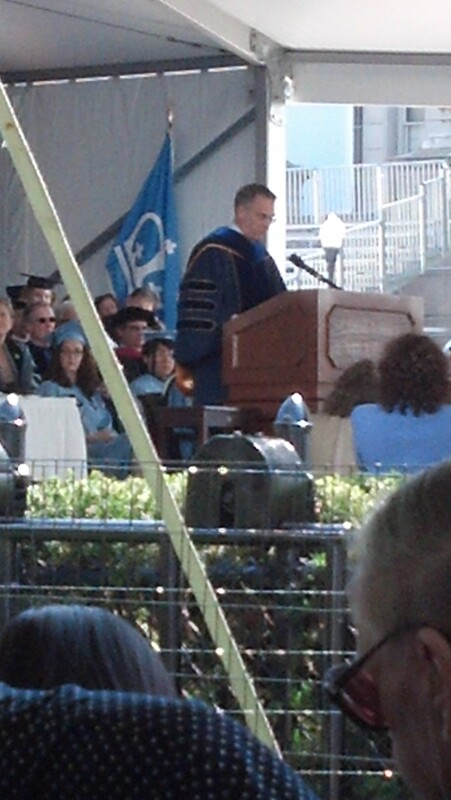 After student awards, Deantini urged the class of 2013 to “remember the imperative, ‘Roar, Lion, Roar,” and PrezBo promised to keep it brief in light of his speech for tomorrow’s University Commencement. 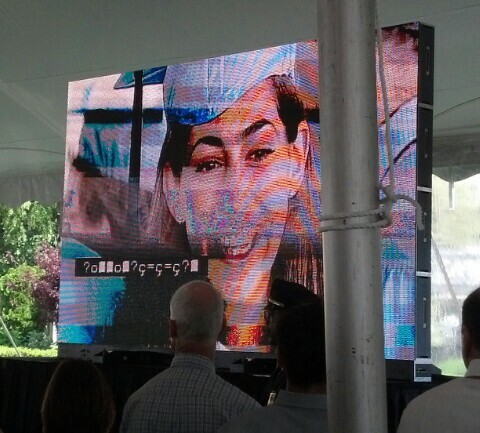 Class President, Ryan Mandelbaum, started his speech by taking a selfie at the podium and provided insights on his freshman self’s “shearling lined Crocs.” Hands were shook, pins were given and names were read, the last of which was “Beyoncé Knowles” (this actually happened) which is apparently the proper phonetic pronunciation of Meriam Raouf‘s name. 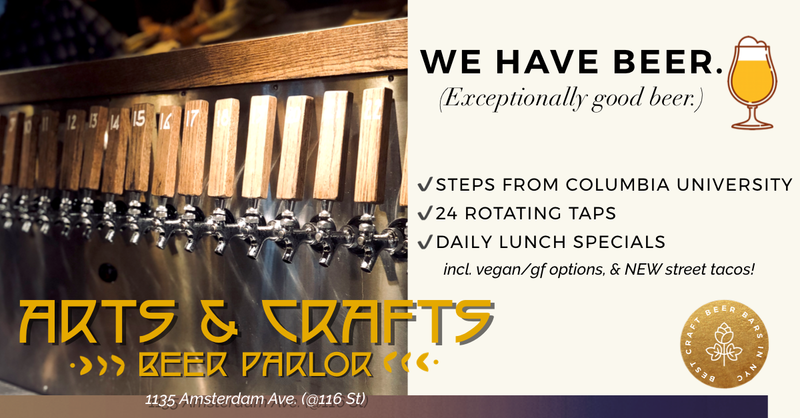 You know it’s unbelievable when a parenthetical disclaimer is necessary. 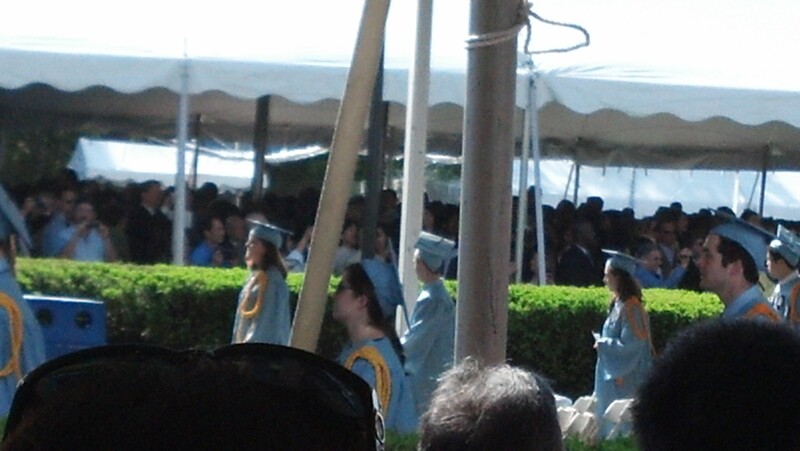 Congrats CC 2013! @I believe... …he prefaced it with something along the lines of “you all know the joke about Columbia students…” implying that it was not his own invention. @Anonymous whatever. he wasnt the real salutatorian anyway, and that chick wasn’t the real valedictorian. the award for highest gpa (Albert Asher Green Memorial Award Recipient) went to some other kid who wasn’t them. @This guy You sir, are an A+ troll. I commend you. Clearly putting that Columbia education to good use. @Anonymous this was the best class day ever. I love you CC 2013!! @Anonymous YEAH, PRETTY SURE THIS WAS DEFINITELY THE BEST CLASS DAY EVER, EVEN CONSIDERING THE HUNDREDS-YEARS-OLD HISTORY OF THIS SCHOOL AND THE FACT THAT NOTHING SPECIAL HAPPENED THIS YEAR. All the same, a lot of respect to Joel, it’s awesome! Congrats to everyone!!! @Anonymous Congratulations CC Class of 2013!!! 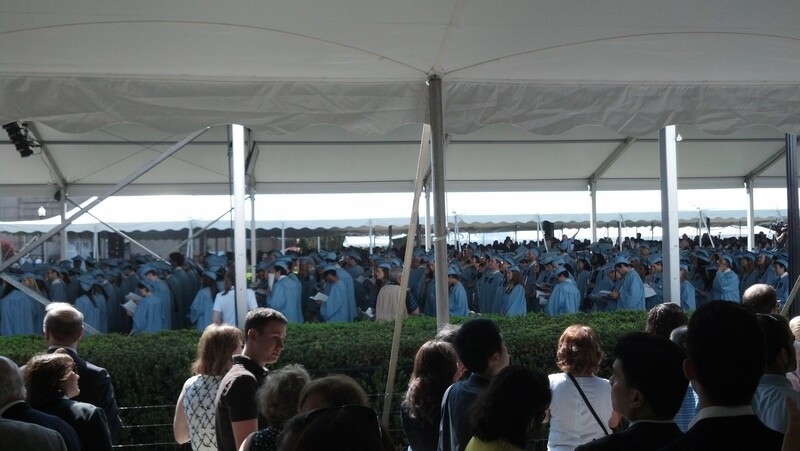 Welcome to Columbia Alumni!